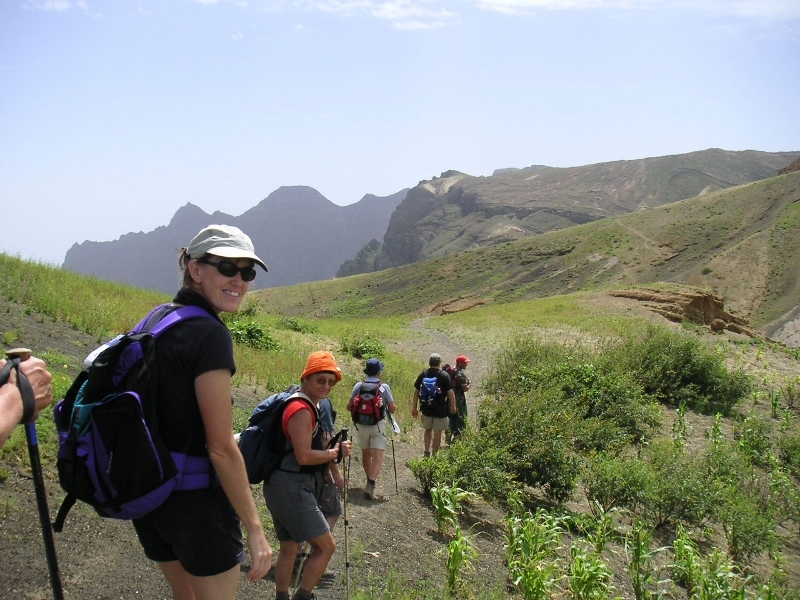 Nature and hiking enthusiasts will be thrilled by this trekking trip over 4 capeverde islands. 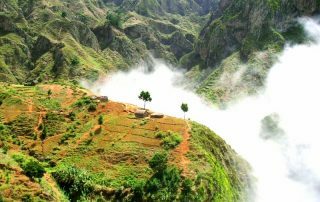 On the scenic, spectacular Santo Antão mountain range, we hike through villages where life has hardly changed in the last hundred years, and stay in private pensions of local families. Of course, Fogo is also a part of the tour. Fogo means fire and there is still volcanic activity on Fogo island. 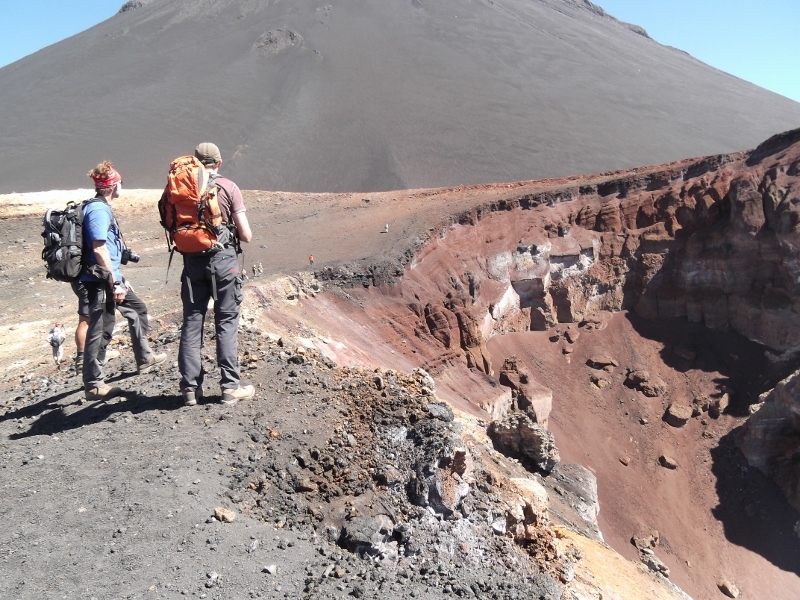 We will hike over the crater of the recent eruption (2014/15) and as a highlight climb the big volcano, the Pico de Fogo. 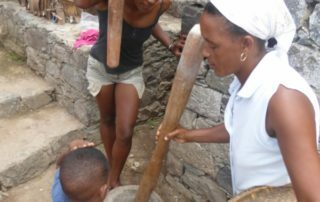 By the way, Funaná, a cheerful, rhythmic, Cape Verdean music style with African influence, gave the name to this trekking tour. 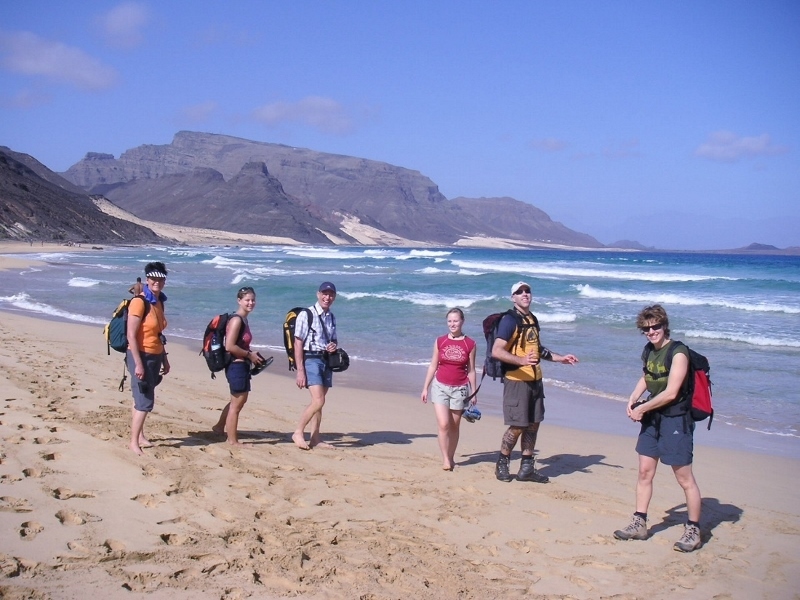 Day 1 Arrival at São Vicente airport, transfer to hotel and overnight in town hotel in the harbor town of Mindelo. 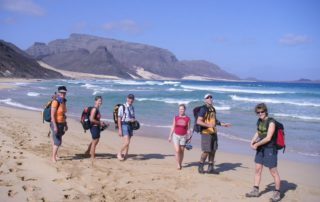 Day 2 Hike along the east coast of São Vicente – wild sea and secluded beaches. 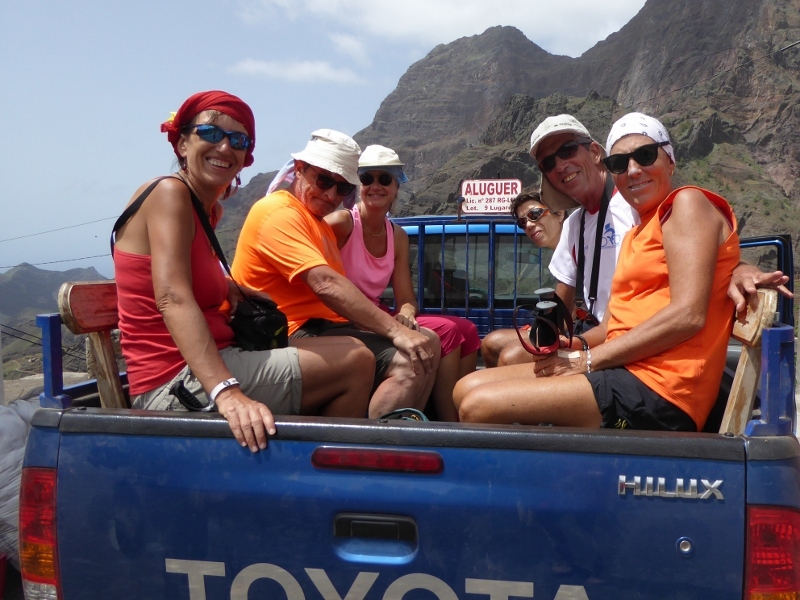 Day 3 The morning ferry brings you to the island of Santo Antão (1 hour crossing). Your local guide will fetch you from the harbour. 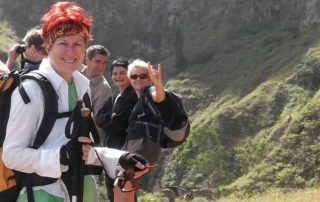 Transfer up to the mountains, walk through Cova crater and up to a top from where you can have magnificent views. 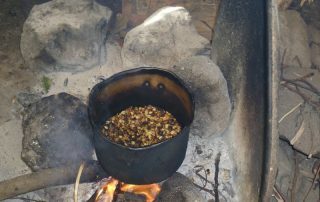 In a small village, you will have a country-style lunch with a local family. 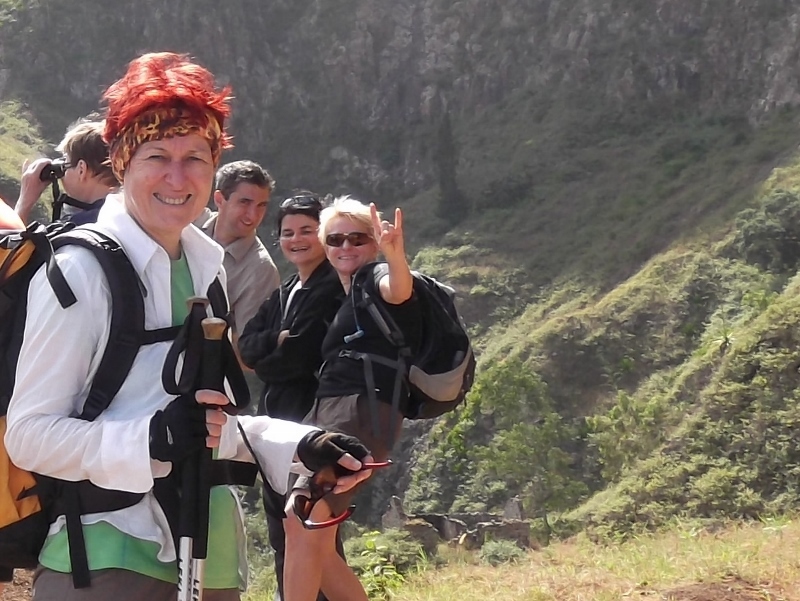 From there we will start our hike down into a side valley of the Ribeira Grande. (+ 150 hm, – 900 hm, 5 h). 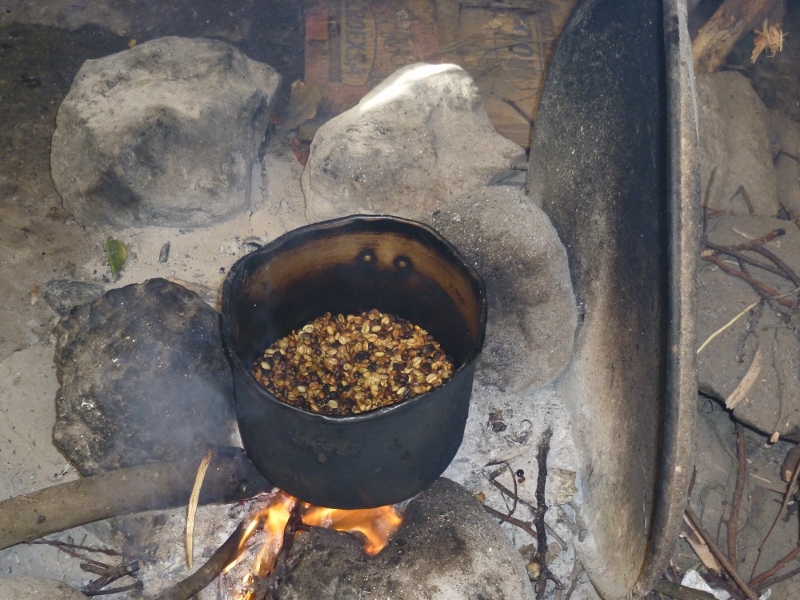 Overnight stay in a private family pension down in the valley, dinner included. 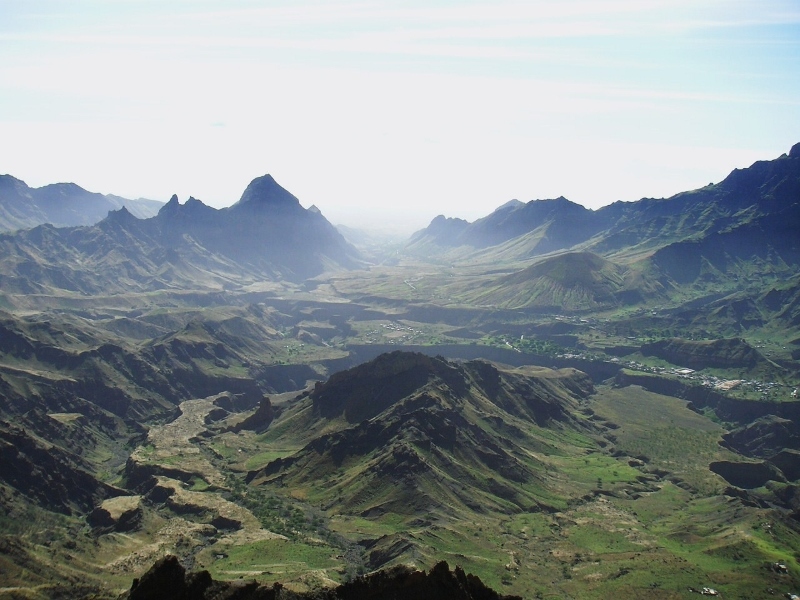 Day 4 The next day of your Capeverde trekking tour leads us across valleys and 2 passes. Small farms scattered around here and there line our path. 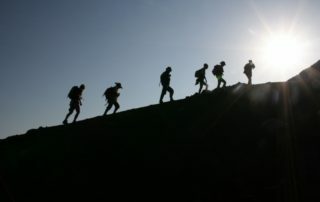 (+ 700m, – 600m, 4 h). 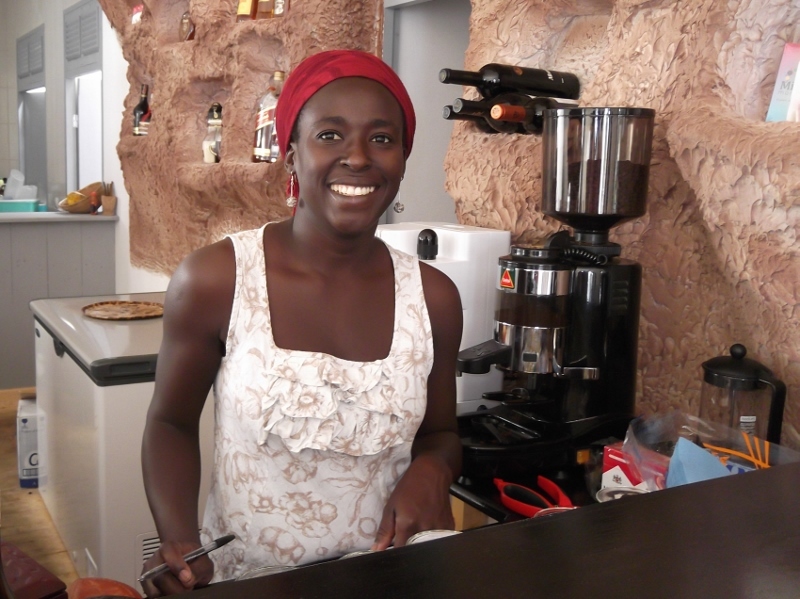 Dinner and overnight in private accommodation in the charming village of Chã de Igreja. 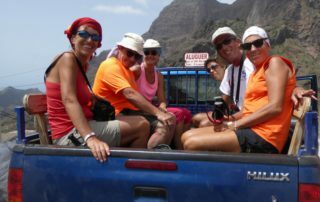 Picnic, dinner, overnight in the fishing village of Ponta do Sol. 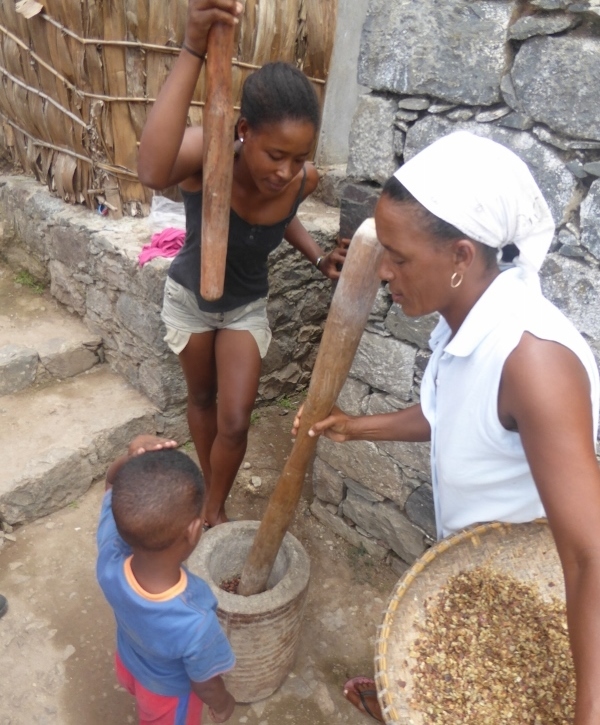 Day 6 Free day in Ponta do Sol – time to relax and watch the fishemen coming back to the harbour. Or do you fancy a massage? There are restaurants with life music in the evening. Dinner, overnight in a nice private accommodation in Paul. 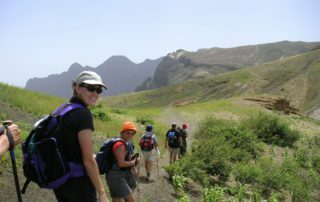 Day 8 On ancient paths, that are still used by the locals, we climb up from Paul Valley to Pico da Cruz, the second highest elevation of Santo Antao island. 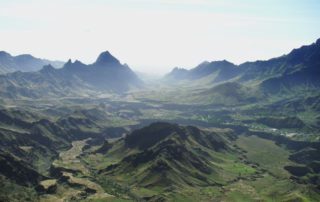 From there, we can overlook the southern part of Santo Antao and discover Sao Vicente with the bay of Mindelo on the other side of the sea channel. (+ 1000 hm, -200 hm, 5 h). 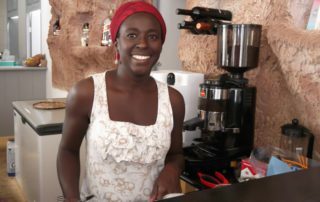 Dinner and overnight in the coastal town of Porto Novo. Day 9 Once upon a time, water was abundant in the nowadays dry south of Santo Antão. 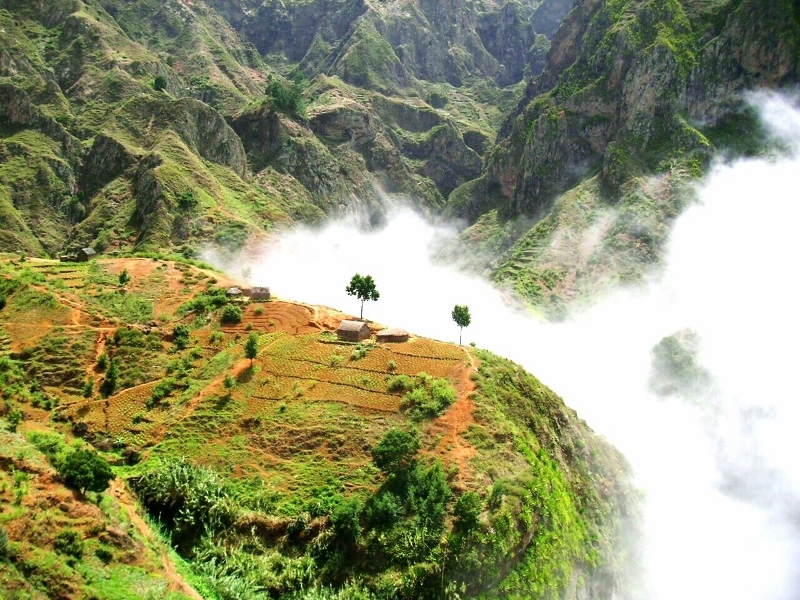 The deeply buried dry river system of “Ribeira das Patas” still testifies these ancient times. 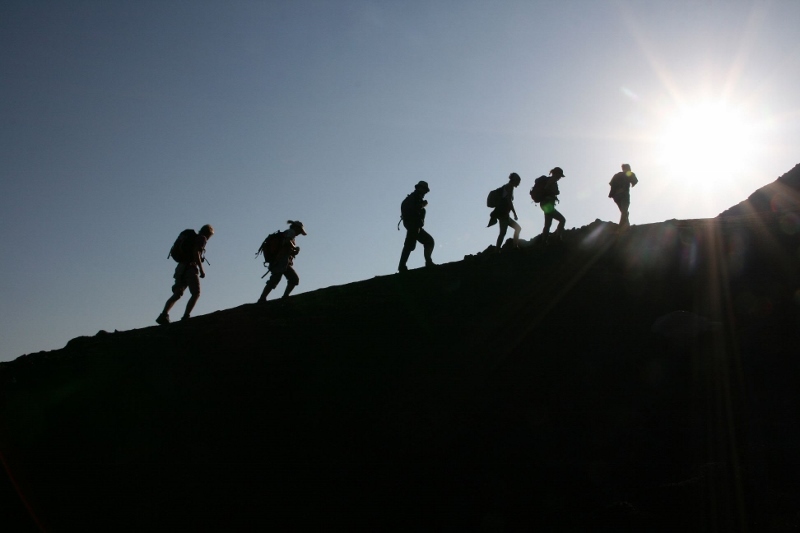 As we slowly climb further up the ridge, a fantastic lunar landscape is revealed to our eyes. 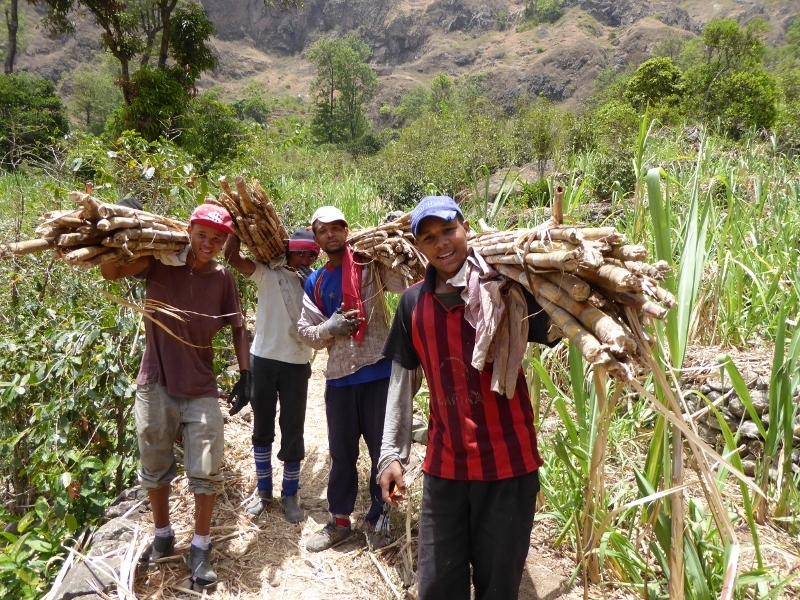 With a farmer’s family, living in the middle of nowhere, we will enjoy some tea or coffee. Over the “Bordeira de Norte”, a true architectural wonder, we descend back to the valley again. (+ 650 hm, – 850 hm, 5,5 h). 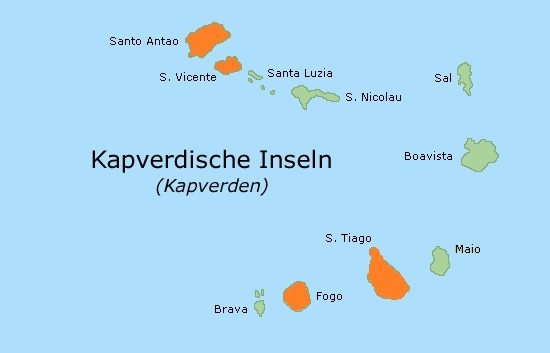 The evening ferry takes us to São Vicente. 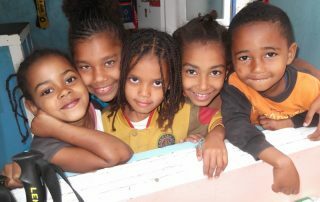 Overnight in Mindelo. Day 10 Fly to the island of Santiago and transfer to your hotel in Cidade Velha (UNESCO world heritage site). Cidade Velha has been a hub of Portuguese slavery for centuries. At sunset dinner, you can experience the enchanting atmosphere of today’s tranquil place. Overnight in nice hotel with pool in Cidade Velha. Dinner and overnight in private accommodation in Cha das Caldeiras, Fogo National Park – at the foot of the big volcano, the Pico de Fogo. 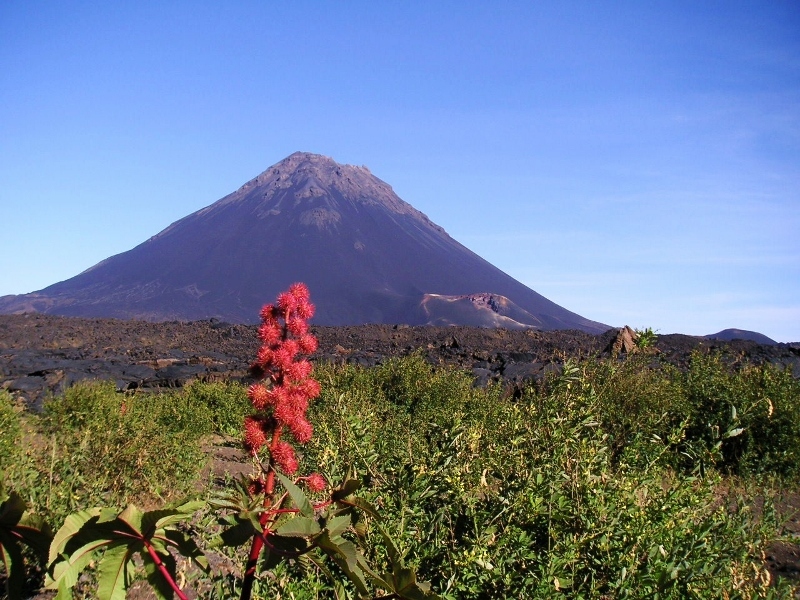 Day 12 Early ascent to the volcano “Pico de Fogo” (2.829m asl). 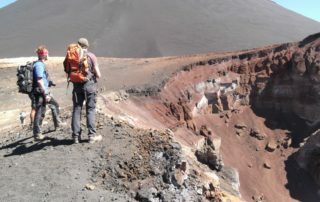 As from a huge dune, we glide down again through the volcanic ash (+/- 1.100 hm, 6 h walking time). 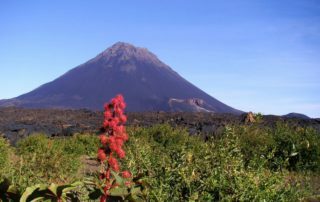 Optionally also hike up to the caldera border possible, with grandios glances at the volcano. Lunch, dinner, overnight Cha das Caldeiras. 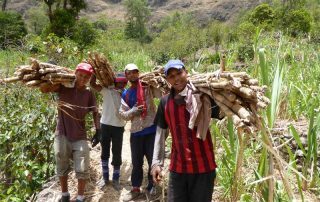 Day 13 Descend on an earth path from the Caldera to the north coast, through abundant tropical and subtropical vegetation. The sea shimmers in the distance below us. Dinner and overnight in São Filipe with it’s colonial style houses. Day 14 Flight back to Santiago island. 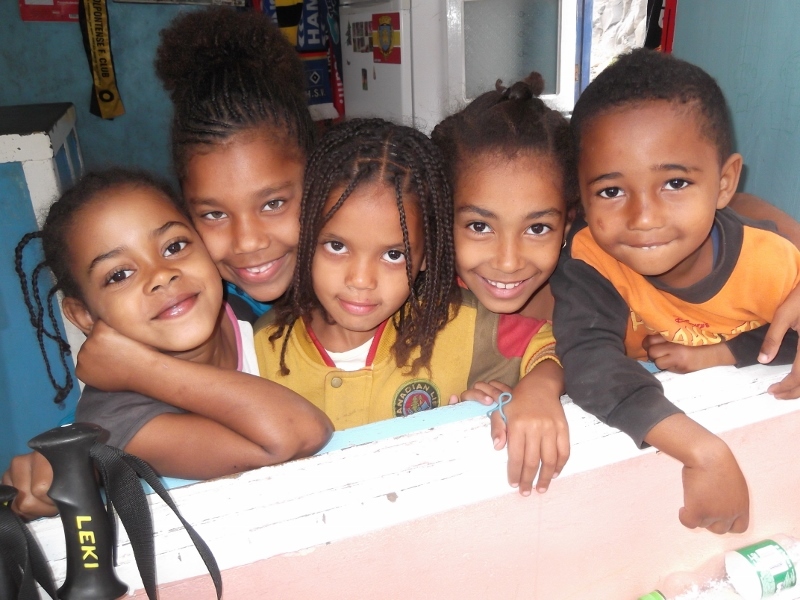 Hotel in Praia and time to visit the Capeverdean capital. in the morning, transfer to Praia airport for your flight back home (depending on your flight schedule).